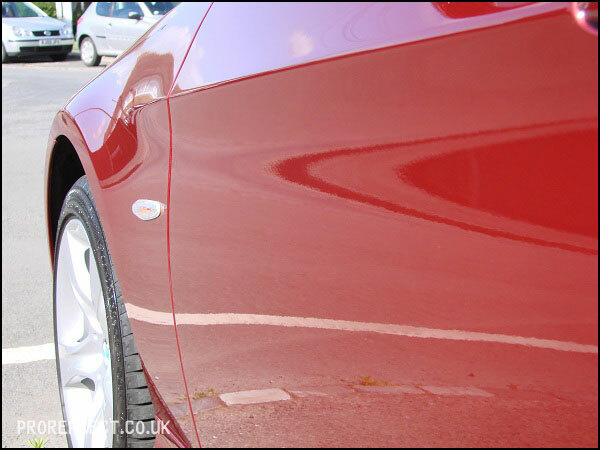 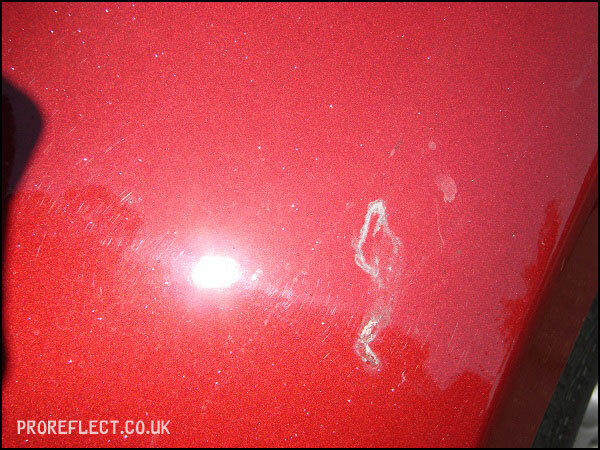 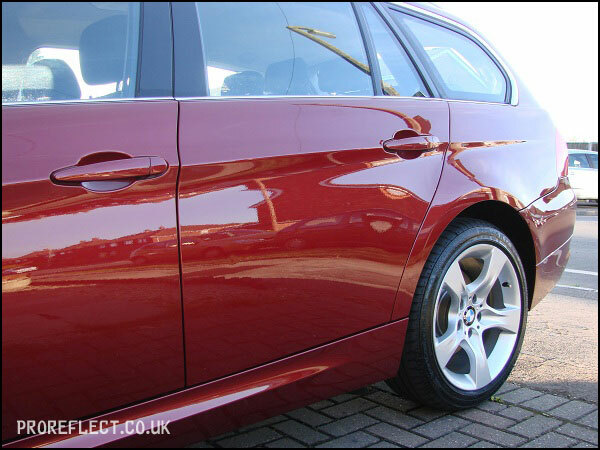 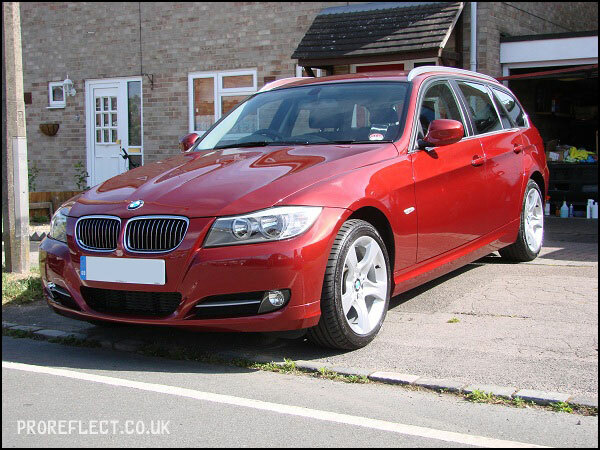 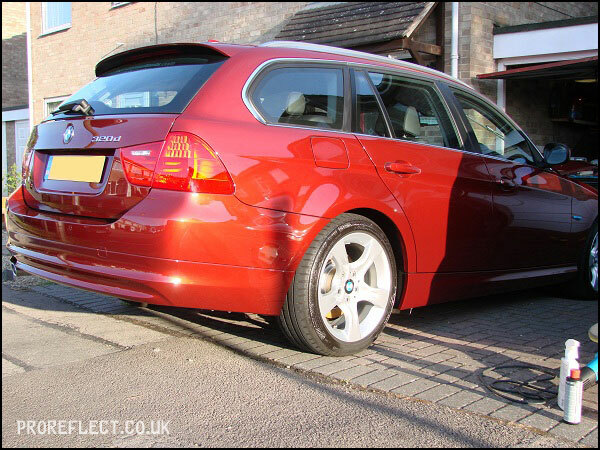 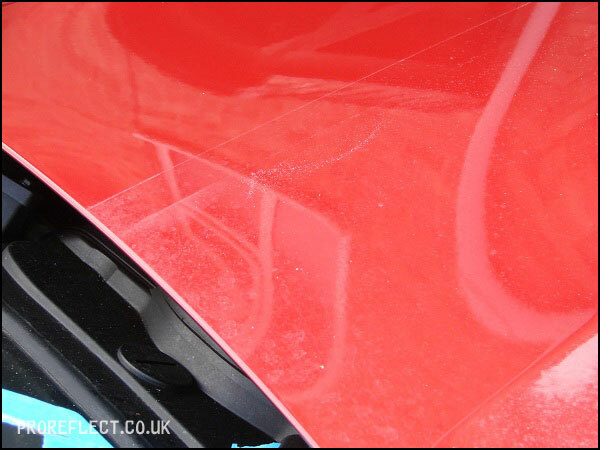 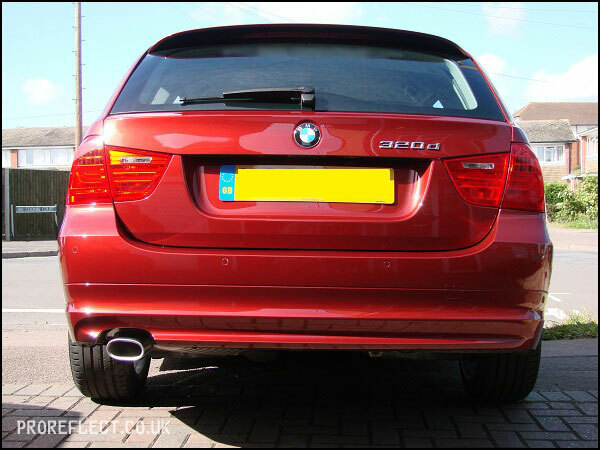 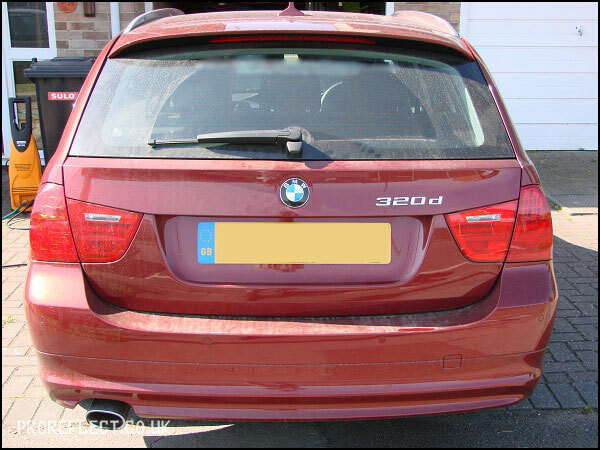 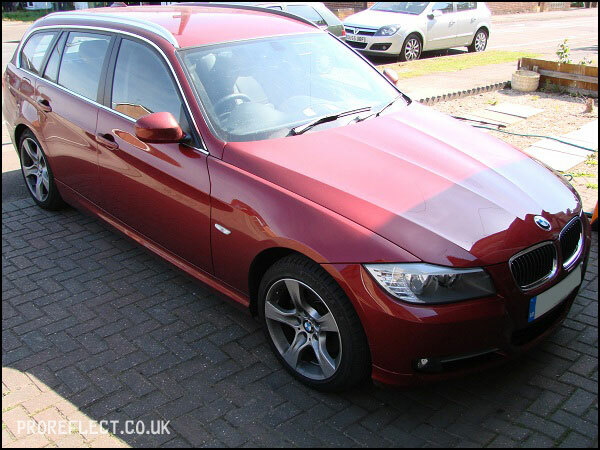 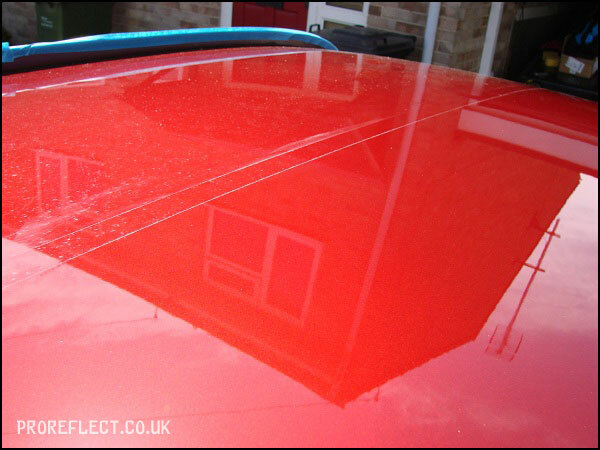 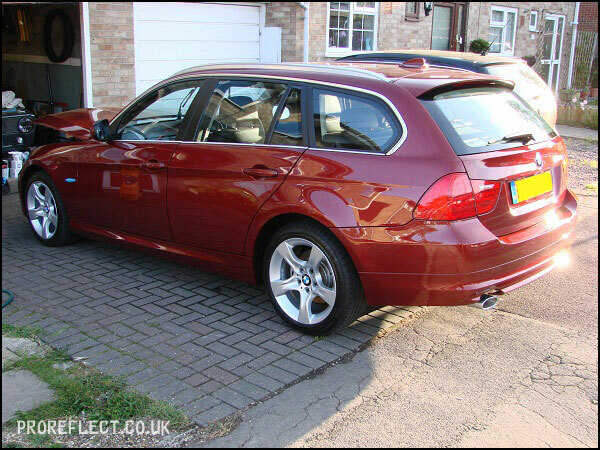 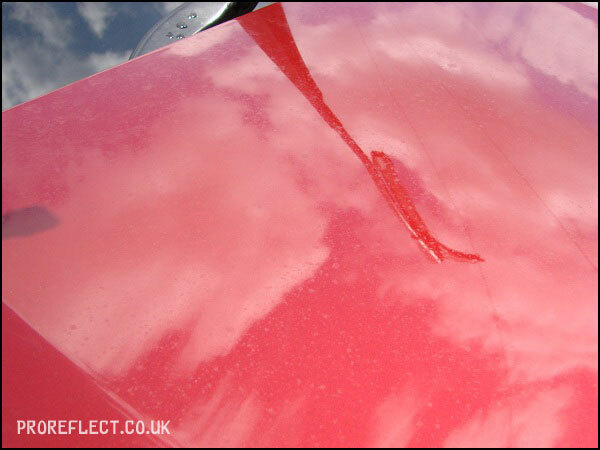 The owner of this BMW 320D Touring – Vermilion Red Metallic contacted me regarding a sticky issue. 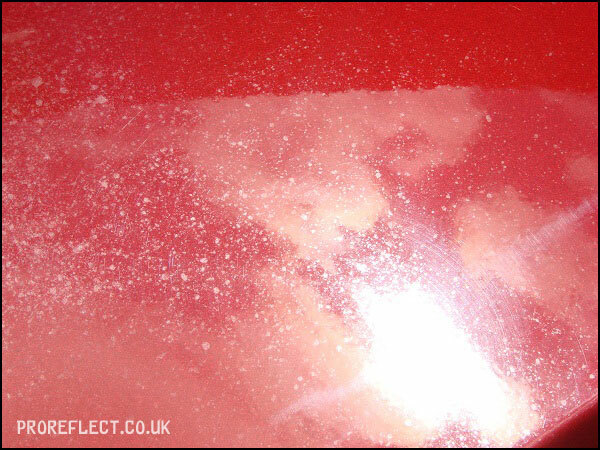 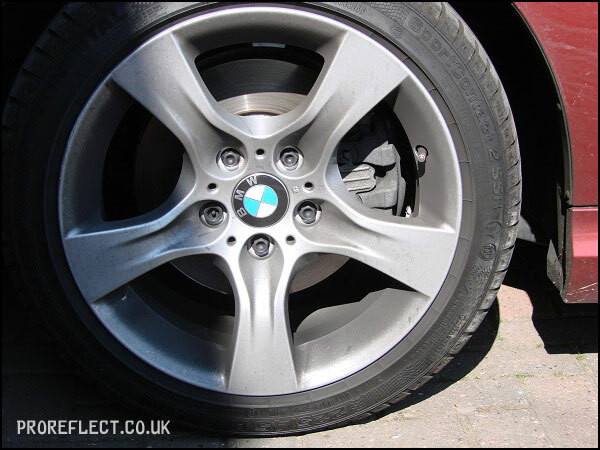 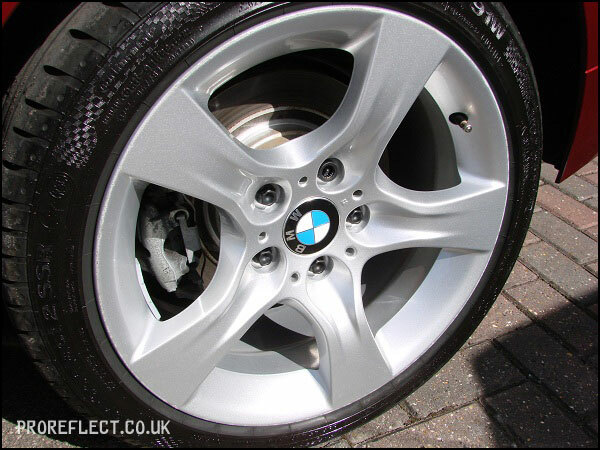 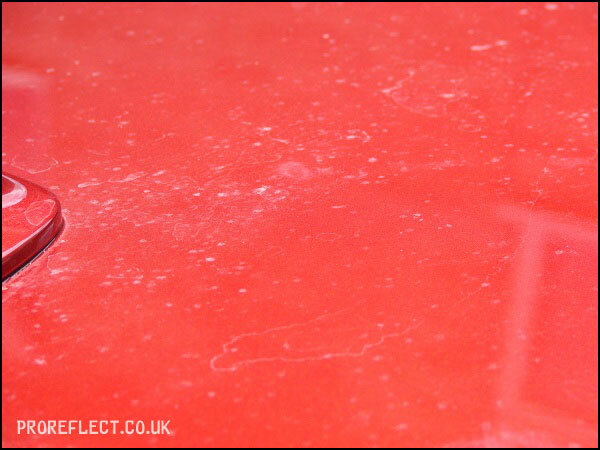 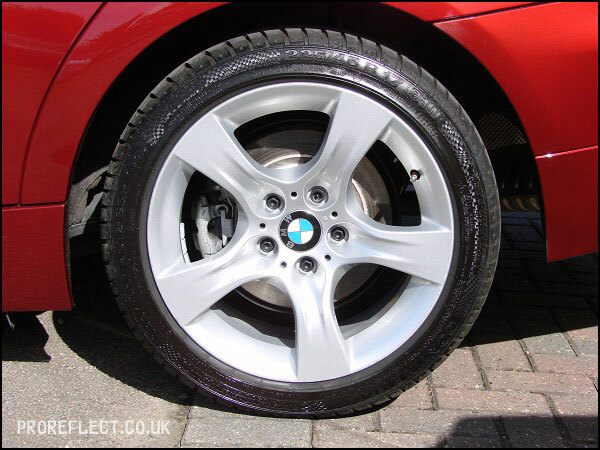 The car had been left under a tree and the white sticky residue wasn’t shifting with a simple wash.
Hand polishing a test panel proved hard work to eventually shift the tree residue, so I recommended that a two stage machine polish which would be quicker and give better results. 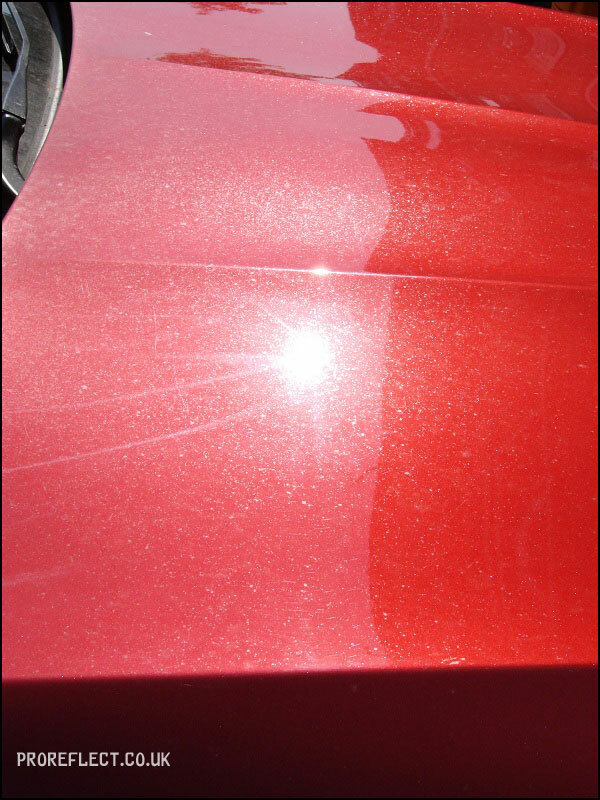 No pictures showing the wash routine. 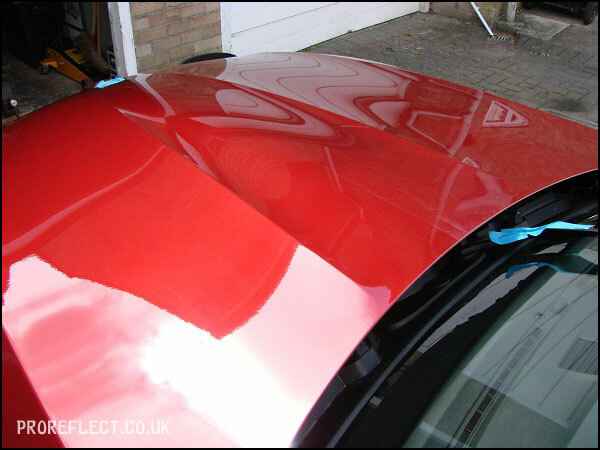 Bonnet 50/50. 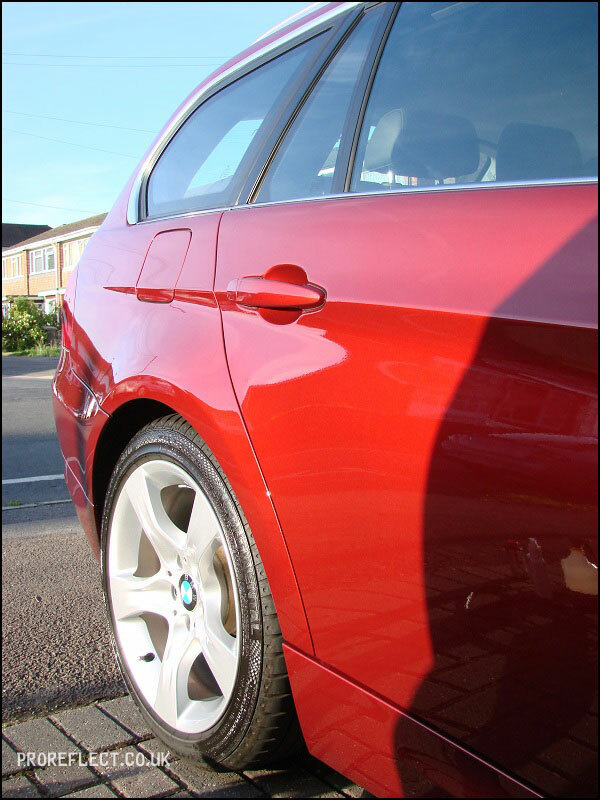 All finished with a layer of Collinite 915 Marque D’Elegance. 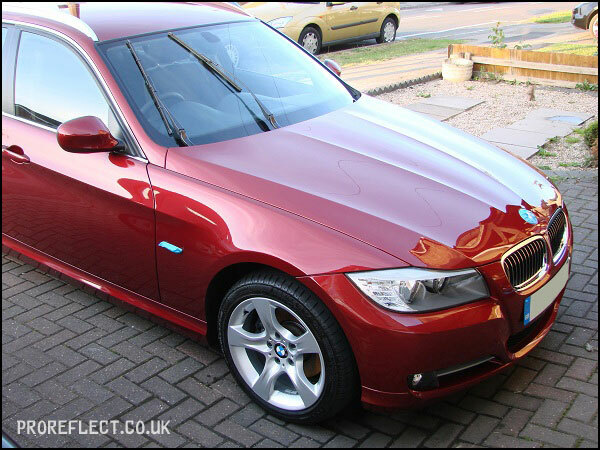 A really gorgeous colour that looks good in the sun.